A new BLU phone has been leaked named BLU S1. This is the first BLU smartphone coming on Sprint Carrier. 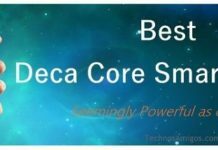 The device has been listed on Sprint coverage website which provides full specification about the smartphone. The launch date has not been announced by the Sprint but it will happen very soon. The phone has also been displayed at bestcellular.com adding the discounted price of $159.99 and also displaying the actual price as $399.99. BLU has been releasing the phone at user-friendly prices. BLU S1 will be useful to the customer of CDMA and BYOD(bring your own device) which also supports postpaid. BLU S1 is compatible with At&T and T-mobiles too, not just sprint. So it’s up to the customer to decide what they want to use. S1 has not been officially announced, yet we were able to gather some specifications from Sprint. The phone sports a 5.2 inch HD display with 2.5D curved glass design. BLU S1 has been powered by Android 7.0 Nougat Operating System. S1 has been enclosed with 1.5GHz MT6750 octa-core processor coupled with Mali T860 graphics and storage of 2GB RAM and internal storage of 16 GB which could also be expanded by MicroSD card slot up to 64GB. The BLU S1 packs in 2800 mAh battery which could last for a day with normal use. The phone sports a primary camera of 13MP with PDAF and LED Flash. The phone offers 5 MP front camera for taking selfies. BLU S1 has fingerprint sensor with a rear side for unlocking the device. The phone has been warrantied for 1 year. 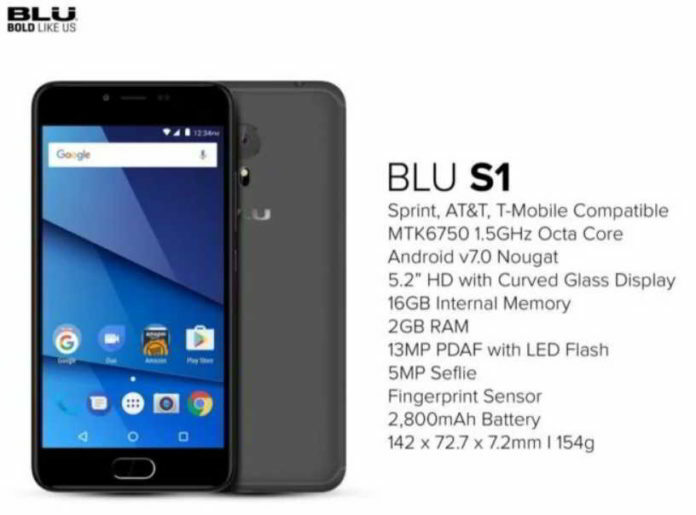 The BLU S1 phone will be released very soon in the United States. The BLU S1 is priced at $159.99.